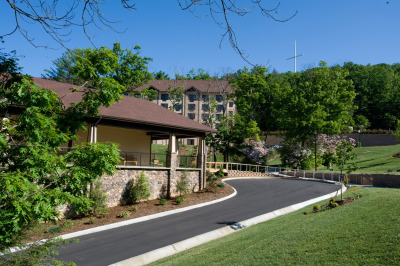 If you are a minister, a paid church staff member, or an employee of any SBC affiliated agency, enjoy an incredible $44.00 per night room rate for up to four persons per room at LifeWay Ridgecrest Conference Center near Asheville, North Carolina. Use this special discount for a time of private devotion and study or as a personal getaway with your family. Take advantage of great area sightseeing attractions, as well as quality area golf courses, whitewater rafting, shopping and dining venues. This offer is based on room availability and does not apply to groups. Rate cannot be used to attend any scheduled conference or event, and is subject to change. To make reservations for your getaway, call us at: 800.588.7222. My family stayed here. We pastor a small but active church in PA. The staff treated us with respect, and the room was very attractive. No TV in the room, which in my mind, is a plus. During our stay, there were many youth groups attending Bible camp. Never too loud or disrespectful. We were able to see much of the area, pray in a peaceful setting, and read Scripture. God's creation was a constant reminder of His blessings and providential care. Highly recommended.